What follows is an amazing adventure through a magical land as Penelope learns that not only are fairies real, but she has a special fairy of her own, Nu, who watches over her. The magic unleashed when Penelope denies that Nu is real has terrible consequences, shrinking Penelope down to fairy size and leading both girl and fairy on a quest to find magic strong enough to return Penelope to her real size. A junior fiction novel filled with adventure, Journey to Eos is ideal for advanced younger readers and primary-aged readers who are interested in stories about fairies and magical creatures, but are looking for a more complex plot and advanced vocabulary. 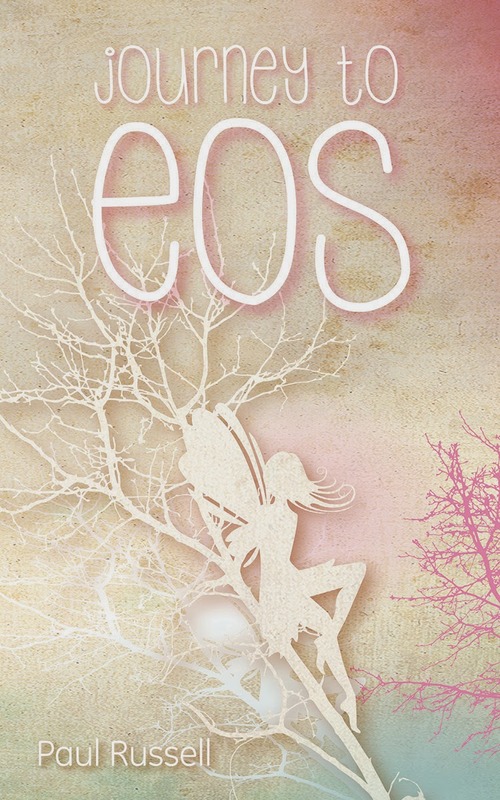 Readers will encounter fairies, pixies, ogres and more as Penelope and Nu journey through Eos on their quest, overcoming challenges and discovering their own hidden strengths. Journey to Eos has a large cast of characters that can get a little confusing at times, but the fast-paced story and excitement of the quest keep pages turning and draw readers into the action. Penelope and Nu develop a wonderful friendship as they get through various challenges and the story finishes with Penelope reminding her classmates that there is no age-limit on using your imagination. Journey to Eos is the first novel by Australian author Paul Russell, a teacher and successful children’s playwright.